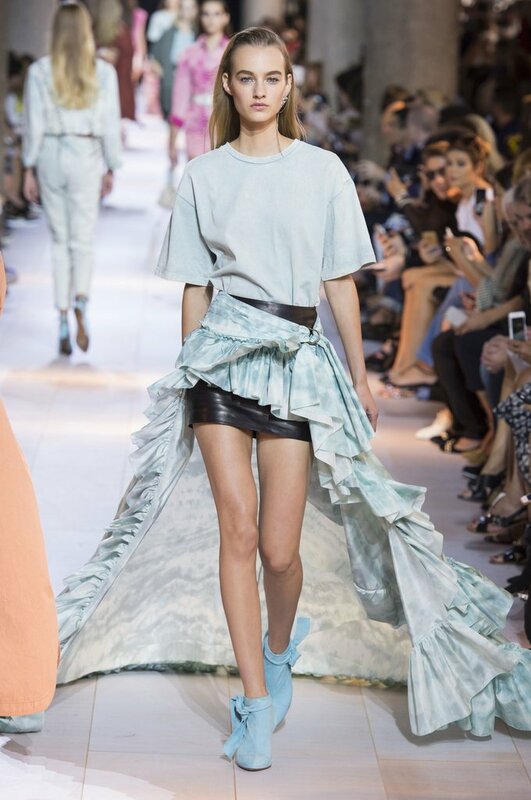 The Spring 2016 Trend List Worth Wearing Next Year | RAWR BOWS. As the fashion gurus and enthusiasts wait for spring 2017 collections, it is just the perfect time to revisit the spring collections of this year to find a few fun picks. This is going to be a special post, where we will cruise through some of the most amazing trends of 2016 spring runways, focusing on ideas that can pretty much make a shift to the upcoming year. After all, every fashionista has her budget! The striped girl: Bold and extremely accentuating stripes were a major sighting for spring 2016, and if you are someone who likes to plan the closet for every season, you can pretty much keep some of the things for next year. Recently launched Resort Collections for spring 2017 also had a lot of stripes, which can be quite a hint to many. Keep in mind that the stripes this year were extremes in many ways. Apart from bold colour mixes as seen at Max Mara and Christian Dior, there were also a few subtle choices, as seen at DKNY. The ruffled look: Ruffles have a very feminine and accessorizing quotient that’s hard to ignore. The good thing is ruffles never go out of trend, and you can pretty much find something in every single online store. Pair a nice ruffled shirt with a pencil skirt and pair of tights for a fall feel, or you can just go with a simple dress – the choice is yours. Ruffled outfits often stand out individually, so don’t go for many accessories, which can create a muddled look. 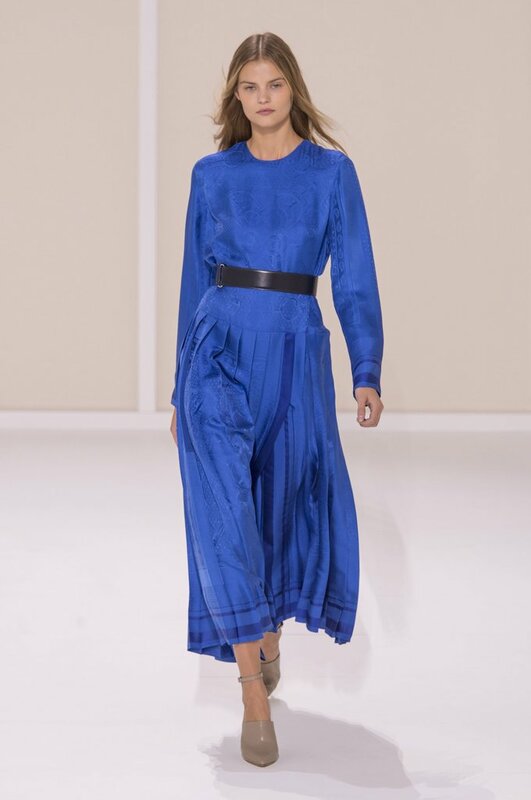 For a few nice summer tights, click here, and if you want to find a few runway ideas for this trend, check the collections of Balenciaga and Rosie Assoulin among others. The pleated feel: Just like ruffles, pleated designs also made a comeback in 2016, and in all likeliness, you will see the idea for 2017, as well. Pleats for the season were varied and functional, adding a lot of dimension to every single look. If you really want to go beyond the basics, there’s a lot to experiment in summer and spring dresses in bright colours. Top names like Hermès, Gucci, Chanel, and Carolina Herrera worked with pleats in a number of ways, and there were plenty of different shades and uses worth checking, including prints and monotone dresses. Finally, let’s talk of the white shirt revamp for the season. 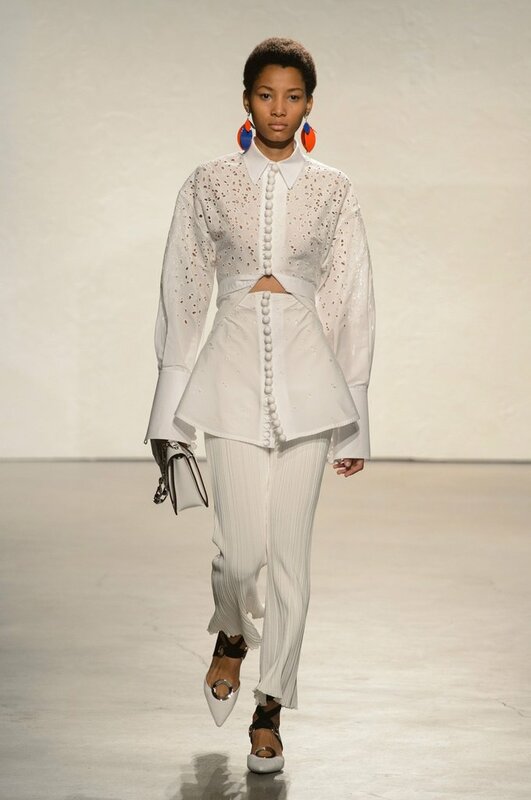 While this might not be the singular trend for next year, unique white shirt remixes were worth a check in spring 2016. If you are someone who likes to keep one trend for each season, a lace design or cut-out white button-down is just for you. Hope you had a good time reading this. Until we meet again to talk fashion, stay in vogue! Author: Suzy Walsh is a fashion expert and chief editor for The House Of Elegance Fashion. She is known to the world for her sense of styling, which is often about making fashion easy and understandable for one and all.